LB Jonathan Casillas lined up as the WLB with the first-team defense during team drills. LB Scott Shanle was slotted as the SLB. Casillas performed well vs. New England with 10 tackles. Will he stick in the starting lineup? “He hasn’t done anything in a regular game right now,” defensive coordinator Gregg Williams said. “And now he’s got to do when somebody else has seen that he’s flashed. Anytime a player flashes, you become a marked man.” Casillas was quite a dark horse for a starting job when camp started, but he’s taken advantage of his reps and could challenge for the starting gig. 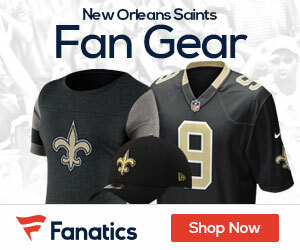 You can win FREE tickets to Saints vs. Vikings! Text “TIX” to 54608 to enter!